FROM E-TICKETS TO ONLINE CHECK IN, HERE’S EVERYTHING YOU NEED TO ABOUT THE DOCUMENTATION FOR YOUR CRUISE HOLIDAY. When it comes to packing for a cruise, it’s easy to forget certain essential items. As it happens, some of the most frequently asked questions we receive here at Cruise Nation are those regarding documentation onboard. It’s perfectly normal to have these concerns, which is why we have decided to compile all this information into one guide, so that you can have peace of mind that you have everything you need when heading to the airport or cruise terminal. We’ve separated the information for flight and cruise documentation into two sections to make finding the information you need easier. You must have a valid passport in order to board the cruise ship, so ensure yours is valid. In addition, it is no longer allowed for children to be included in their parent’s passports. Children’s passports are only valid for 5 years, so it’s a good idea to check their passports haven’t expired before you book. If you or any of your family doesn’t own a passport, make sure you apply for it at least 6 weeks in advance to avoid any mishaps or complications. If you need to apply for, renew or update a passport, you can do so via the GOV.UK website. Please note that adult passports need to have 6 months validity. After your booking is made, we’ll immediately email you your confirmation to check for any errors. This confirmation will include your flights, hotel and cruise details. In a separate email you will receive an e-ticketing letter advising completion of API for the cruise/flights. Once you receive this e-ticketing letter you can login and complete your API. Here at Cruise Nation if we do offer a service to complete your API for you. This service is £4.95 per person and telephone contact details to complete this service are on our documentation letters. Online check in differs from airline to airline and likewise for cruise lines. Some will allow you to check in up to 30 days in advance whilst others can be just 24 hours in advance. Boarding passes will be issued nearer to departure date. Time frames depend on the cruise line/ airline; this can range from 30 days to 24 hours in advance. Nearer to the time of your holiday, we will send all documentation required for your holiday no later than 7-10 days prior to travel. We can post this documentation if necessary; the charge for this service is £4.95. 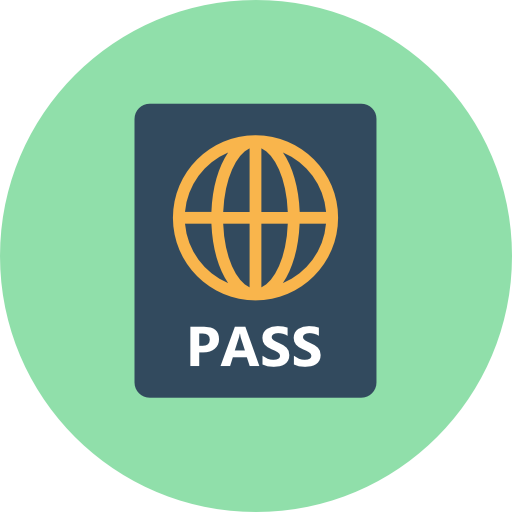 After we send you e-ticketing email for you cruise, there are many things you can book online directly via your Cruise Personaliser. This includes dinner reservations, excursions and drinks packages. If you have any special requirements such as dietary, mobility etc; please get in touch with our Customer Services team who will be able to help. For some countries, you will need a VISA or ESTA to visit – depending on your nationality. In particular, for holidaying in the US you will need an ESTA which you can apply for online. The fee is approx $10 and approval is almost immediate. You can print your ESTA as soon as it is approved. We recommend printing two copies just to be sure. To get an ESTA, apply here and to check and see if you need a VISA for any other countries check here. We recommend applying for VISA’s and ESTA’s as soon as possible in case your application is upheld for any reasons. If you booked and paid for any excursions prior to your cruise, we’d suggest storing these details on your phone and printing copies to present to the excursion provider when you arrive at the location. We worry so much about packing the right clothes, make up, cameras etc, but the most important thing you will include in your belongings is your documentation. It’s a good idea to store everything neatly (and in order if you want to be really organised) into a travel document holder or plastic wallet to keep everything safe. Upon receiving your booking confirmation, check that the names and dates of everyone you are travelling with are correct. Each cruise may have different requirements when it comes to documentation so make sure you look into this in advance. Don’t leave it until the last minute and don’t make presumptions. Where you travel to may also have varying documentation requirements so be sure to bear that in mind when choosing your itinerary and ship. If you are travelling with a child that isn’t your own and you need a letter of permission from their parents, ensure you make these arrangements straight away. Double check any requirements for this to obtain maximum safety at all times. If you are a newlywed bride and you are travelling on your honeymoon a few days after the ceremony, make sure you make your cruise reservation under your maiden name, as this will be the name that is on all of your ID documents. If your honeymoon is a few months after you’ve married you will have time to change your passport etc and therefore, can make your booking under your married name. However, it’s worth noting that you can change your name on your passport up to 3 months before the ceremony, however it will be post-dated so you won’t be able to actually use it until after the ceremony. Your old passport will be cancelled so you will not be able to use this either. Passport and photocopy - As previously discussed, a valid passport is essential when travelling. It’s a good idea to make a copy of the first page of your passport and have a photo spare should something happen and you need to get a new passport from the consulate. Drivers licence - Not everyone feels comfortable taking their passport off the ship with them every time they dock in a new destination, so keep it locked in the safe in your cabin and take your smaller, lighter driving licence instead. However, keep an eye on the daily cruise news provided as this may inform you if you do require a passport on leaving the ship at any port of call. Bank information - Many people opt for online banking nowadays, but it’s also worth taking your bank information on board in paper form just in case anything should happen to your bank card. You may need to contact your branch in this circumstance so it’s a good idea to have your bank information - including your account number and sort code - whilst you’re away. If you plan to use your card to withdraw money on your holiday, we recommend advising your bank prior to departure. Also note that when you are withdrawing money from an ATM, that the amount displayed on the screen is in local currencies. Emergency numbers - Sounds simple enough but can be easily forgotten about. Make sure you carry any essential contact details of people back at home in case any circumstances should arise and you need to get hold of family and friends on your travels. Travel insurance policy - Medical assistance, lost or stolen luggage or cancellations during your trip are just some of the reasons why travel insurance is important. Make sure you familiarise yourself with what’s include in your policy and have a paper copy stored away with all your other important documentation. This is a good idea should something happen and you need to consult your policy to make the relevant next steps. When it comes to your cruise ship holiday, here at Cruise Nation, we know that preparation is key. By avoiding leaving things to the last minute and keeping on top of your documents, you can enjoy your cruise in a way that you deserve. If you wish to speak to us about anything you have come across on this guide, or you have a general enquiry, feel free to get in touch. With a friendly and expert team of advisors at hand, we are more than happy to answer any of the questions you may have.